Includes: up to five quarts of oil, genuine oil filter, inspection and adjustment of fluid level. Available for conventional oil & synthetic oil. Redeem this coupon to receive $20 off per axle on your next brake service. Includes complete front or rear brake job including new pads and resurface/ replacement of rotors. Buy 3 Tires, Get the 4th for ONE DOLLAR! Offer only on select brands. See adviser for details. Road Hazard Warranty included with all OE & OEM tires. Max discount of $100. 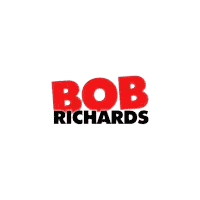 Valid only at Bob Richards Chrysler Dodge Jeep Ram. Coupon must be presented at time of write-up. Discount not to exceed $100. One coupon per customer, per visit. See dealership for details. Void where prohibited by law. Come in and save 10% on any dealer or factory recommended service.